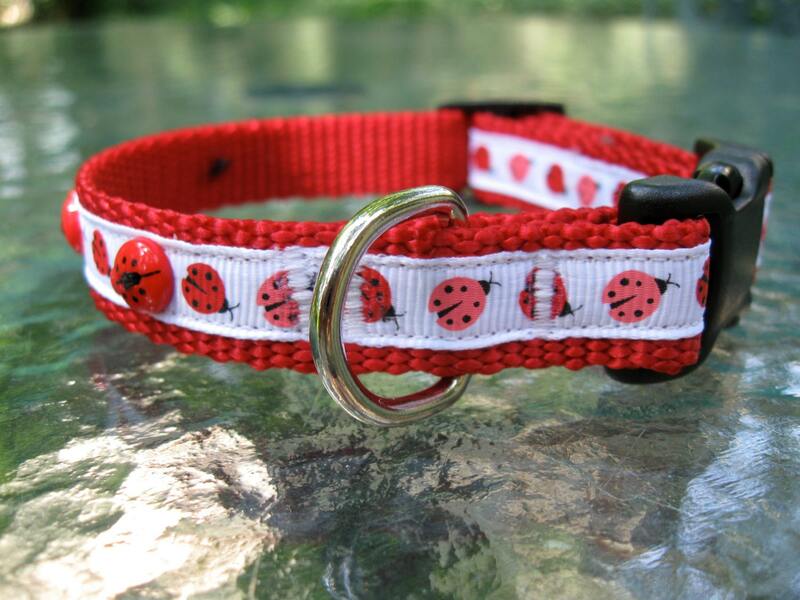 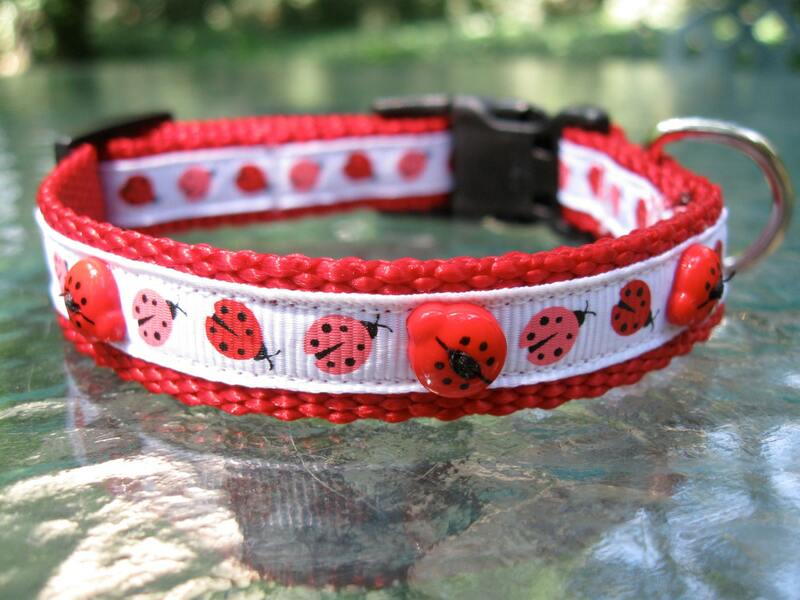 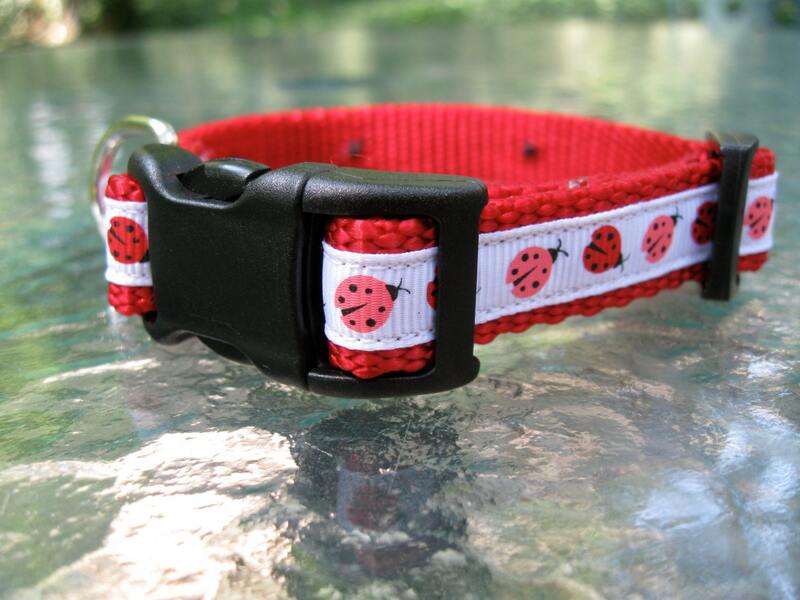 Sweet ladybug collar for your little bug! 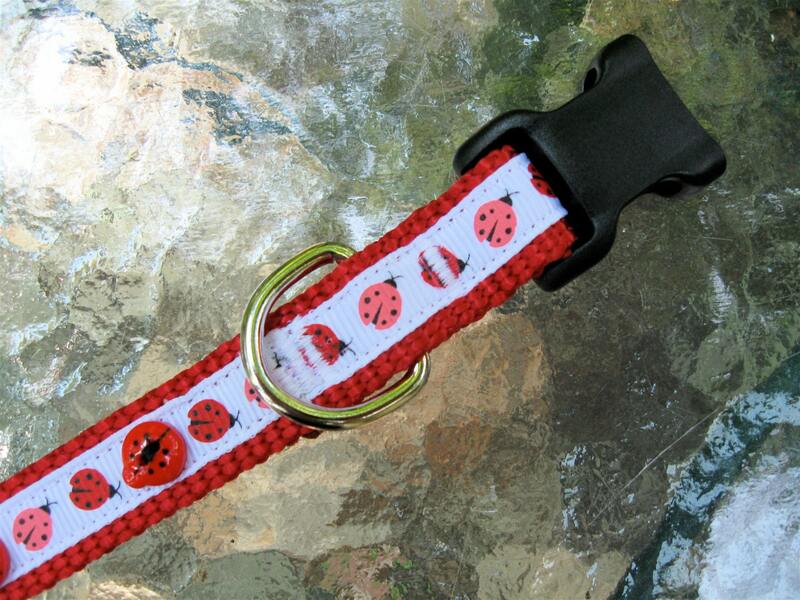 Washable white grosgrain ladybug printed ribbon sewn onto strong 5/8 inch red nylon strapping. 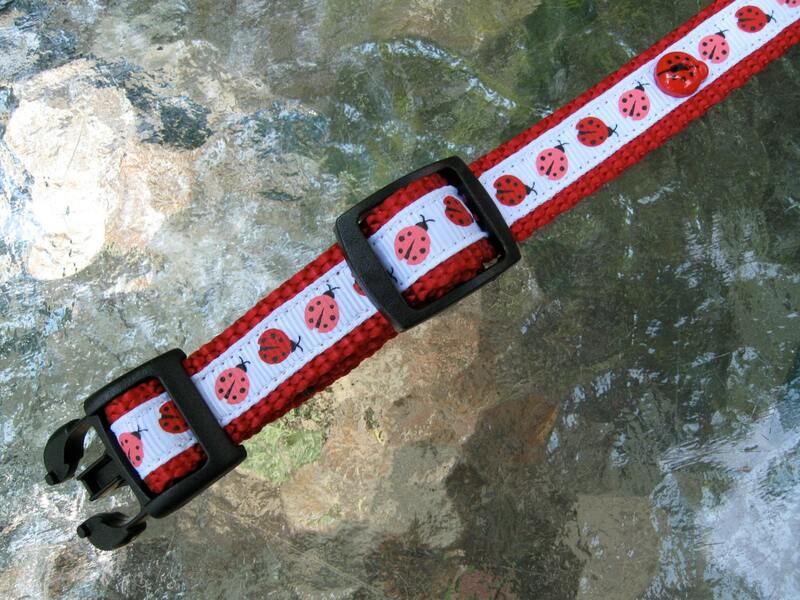 Three adorable ladybug buttons decorate the strap.